In doing these runs of 31 Days…reviews, it’s rare we ever have a film that was considered Oscar-worthy, at least not for the major acting awards. The Bad Seed though? Nominations came its way for things like Best Actress and Supporting Actress, not just at the Oscars, but the Golden Globes too. It never won anything, but it’s a measure of how much of a crossover hit this at times nasty and unpleasant little horror film turned out to be. 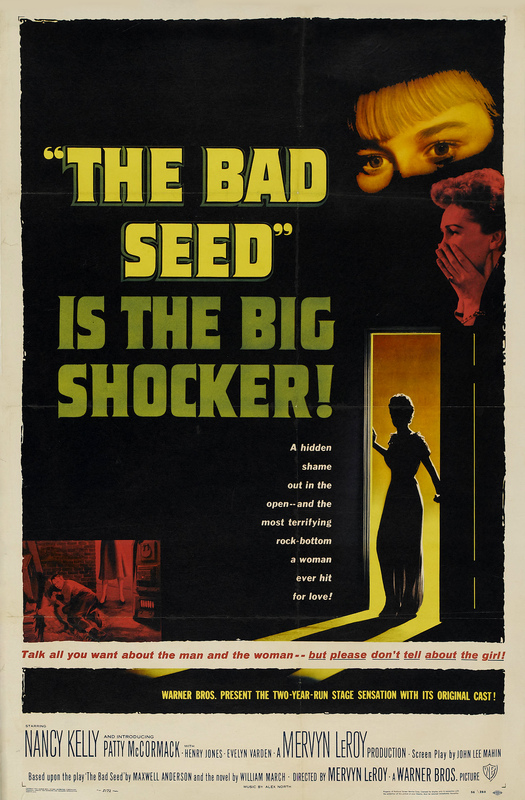 Originally a novel by William March, The Bad Seed was turned into a Broadway play who’s main cast were then kept on for this film adaptation. The play in itself was a huge mainstream success too, with Nancy Kelly winning a Tony award and the production narrowly losing out on the Pulitzer Prize for Drama. 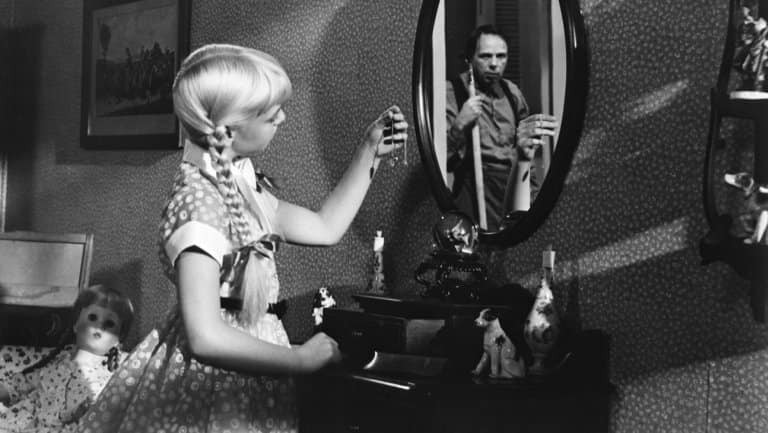 Kickstarting the whole ‘Evil Child’ genre, The Bad Seed is still up there with the best of them, featuring a remarkable central performance from The Bad Seed herself. She’s a hideous, scheming and thoroughly despicable character, one that makes you feel guilty for wanting to see her get her comeuppance. She’s still a child after all, if one of the worst ever committed to celluloid. 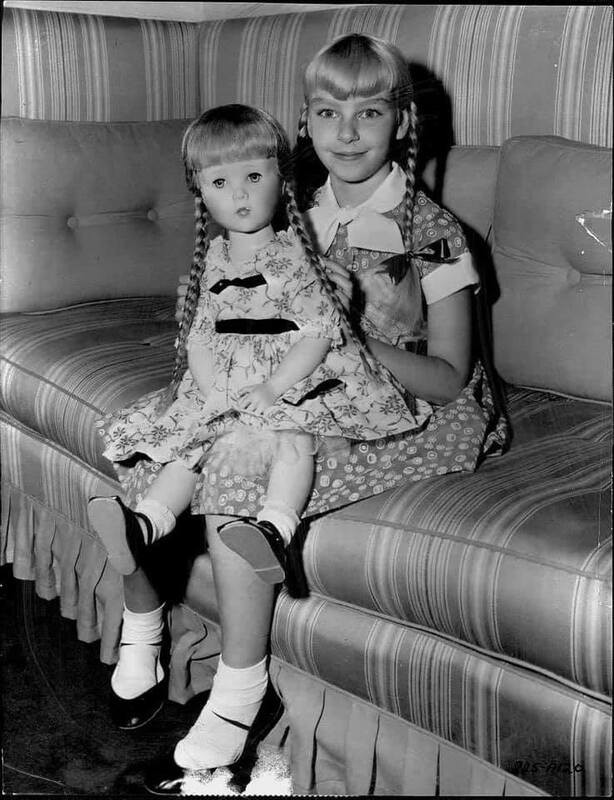 On the surface Rhoda Penmark appears to be a normal, eight year-old girl. Bright, cheerful and polite, she’s a typical, pigtailed schoolgirl from a good family. Under the surface though, Rhoda has a darker side. She’s fiercely competitive and has a growing collection of trinkets that she’s hiding in her room. When a schoolmate of hers dies mysteriously after beating her in a penmanship competition, Rhoda’s mother Christine is horrified to discover the boy’s prize medal hidden in her daughter’s drawer. Heavily in denial, slowly the truth starts to dawn on the horrified parent, but worse is to come. Taking with her own father, she discovers that he is nothing of the sort. She was adopted at an early age and her true father was a notorious serial killer. Does the blood of a murderer run in her daughter’s veins? Is she just a normal child or is she…a bad seed? Forget Damien Thorne, this here is the real Antichrist child. Okay, that’s a slight exaggeration but it’s remarkable how truly despicable Rhoda is. For all the supposedly normal girl that she’s made out to be on the surface, there’s always a bubbling undercurrent of malice in there. We never actually see her do any of the awful crimes that she commits, which in a way makes it worse. We see the awful aftermaths, the impact on the victims families, the complete lack of empathy or remorse Rhoda has about them, but never the actual crimes themselves. As the pig-tailed psychopath, Patty McCormack is simply magnificent. Most child actors, especially of that era, are very much acting like children, but McCormack feels like a real, natural brat, albeit one with a twisted, older soul. She’s a holy terror, a demonic, Machiavellian goblin in a pinafore who thinks nothing of murdering anyone who remotely gets in her way. She’s so full-on in the part that it’s hard for the other cast members to compete at times. Henry Jones’ handyman LeRoy Jessup is nicely ambiguous though. He’s not the villain of the piece, but he’s unpleasant and seedy enough that he could be in a different film and helps add some shades of grey to a film that doesn’t have much light in it. It’s Nancy Kelly as Rhoda’s mother Christine who really boosted the cast though. Watching her gradual mental decline as she slowly comes to confront the reality of who and what her darling daughter is really hits hard. It’s a subtle denial at first, but even at that she pitches it so well that you get the impression this isn’t the first incident and deep down, she knows immediately the awful thing Rhoda has done this time. The Bad Seed also raises some interesting questions over the nature of evil and insanity. Is it just in Rhoda’s nature to be the way she is? Or has she become a monster on her own? There’s no real answer, but both is the likely answer here. The idea of such a murderous child was deemed so potentially shocking at the time that the film ends with McCormack and Kelly both coming out as themselves to lighten the mood with a comedic bottom-slapping routine. It’s…weird. But, if that’s what it took to get that superb ending accepted by either the studio or censors, then fair enough. 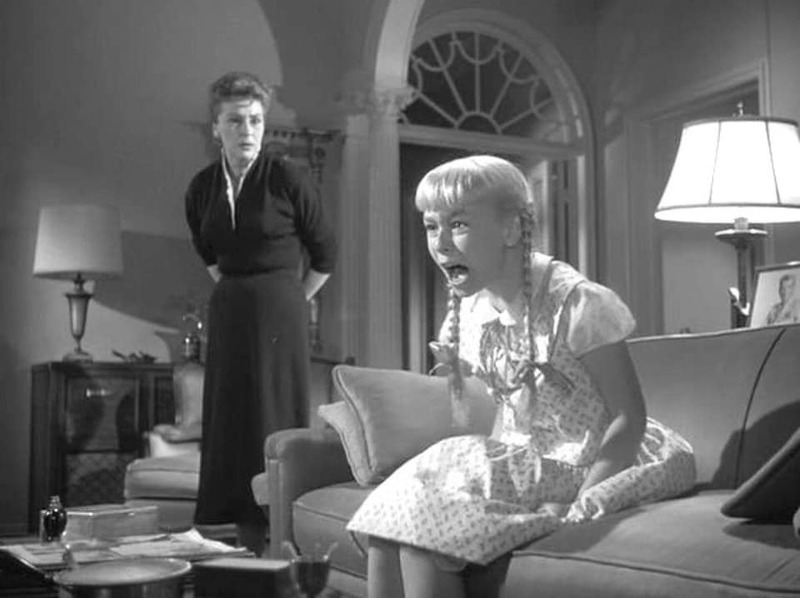 The Bad Seed is a gripping piece of work. Yes, it’s a tad overlong, it feels like an afternoon TV melodrama at times and I could live without that tacked-on ending, but for it’s time especially, it pulls no punches in its portrayal of one of cinema’s most disturbing children.